On 24 February 1963 played the second of three concerts in Coventry. The first time on 17 November 1962 at the Matrix Hall. 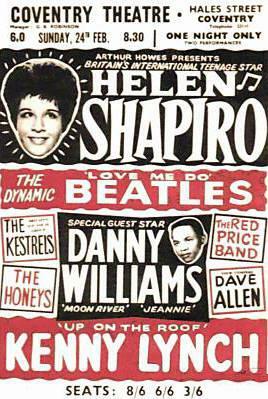 The second was at Coventry Theatre and the last one also at CT on 17 November 1963.